The New Certainty is only possible with the efficiency, quality and collaboration made possible with the award-winning and independently certified Novus Process™. Working together, the three parts of the Novus Process™ enable greater efficiency, quality and collaboration – all critically important for achieving measurably better results and reducing overall legal operating costs by as much as 30 percent. Built with globally recognized Lean Six Sigma principles for process management and quality control, the Novus Process™ has proven to be measurably superior to traditional legal processes. Expedites critically important information faster than ever before to make strategically important decisions early on and resolve matters sooner. Achieves world-class accuracy, according to independent, scientific and statistically valid quality review audits conducted by our clients’ law firms. Provides real time transparency into the development of the story for more clarity in decision making and control over the strategic direction of matters. Novus One-Touch™ uses the process-reengineering principles of Lean Manufacturing to eliminate waste and make the traditional process of finding the story better, faster and less expensive. More than 50 percent of the steps in the traditional process of finding stories are redundant and wasteful. Lawyers typically read and re-read documents unnecessarily for one reason or another – up to hundreds of times – as they build a trial notebook. Novus One-Touch™, the only UL DQS, Inc. (formerly Underwriters Laboratories) independently certified work process in the global legal profession, eliminates these redundant “touches.” Novus One-Touch™ fully processes individual documents in a single step, thereby eliminating the mistakes, time and costs associated with the redundancies inherent in the traditional process. "The Novus Pro approach represents cutting edge thinking in the legal sector… [its work is] at the most progressive end of the spectrum." "To ensure delivery of a virtually error-free work product on time and within budget, Novus Pro engineered an intricate, metric-driven work process certified by Underwriters Laboratories." Novus Q™ uses the quantitative analytics of Six Sigma to eliminate mistakes and make the process of finding the story measurably more accurate. An accurate work product reduces the risk of overlooking important documents or inadvertently producing privileged documents. An accurate work product also reduces costs because it eliminates the need to redo work; studies show that costs increase three percent or more for each one percent decrease in accuracy. Novus Q™ is one of the very few ISO 9001:2015 certified quality management programs in the global legal profession. 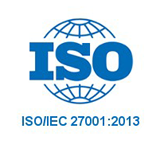 ISO 9001:2015 stands alone globally as the gold-standard certification for quality management. Novus Q™ consistently results in work product accuracy that is greater than 99.9 percent based on scientific and statistically based quality review audits of our work product done by our clients’ law firms. "The fact that Novus Pro can measure and warrant quality, and offer price certainty, endears it to large corporate clientele." "Our decision to use Novus Pro was purely efficiency and quality-driven. Most law firms do not have a systematic approach to improving quality." Novus C3™ uses the science of collective intelligence to ensure that everyone who works on a matter benefits from everyone else also working on the matter – sometimes referred to as the wisdom of crowds. Harnessing the collective intelligence of everyone who works on a matter ensures that stories are more complete and precise, because the exploration of almost every possible combination of facts can take place. Novus C3™ is an Internet-based, matter-specific technology application in which our clients, their law firms and our legal professionals all work together to communicate, collaborate and control matters. Having all of the communication, work product and project management information in one place provides clients and their law firms with more transparency, control, and opportunities to make decisions, hone strategies and resolve matters faster. "Time to knowledge is materially improved. As a result, both counsel and client can make informed decisions earlier and better. As radiated throughout the entire case, the Novus effect is profound." " ‘What Novus Pro does,’ notes Akin Gump litigation partner Shawn Hanson, ‘is return lawyers to being lawyers. Our younger lawyers are much freer with Novus Pro, used thoughtfully and properly in real collaboration; to do what’s great about being a lawyer.’ "
Novus Pro is ISO 27001:2013 certified. This globally recognized Information Security Management System certification is generally considered to be the premier security standard for businesses globally, and very few organizations in the legal profession have achieved this certification. It addresses the security of our technology infrastructure, information management systems, facilities and people. Novus Pro is not a law firm and does not engage in the practice of law. ©2019 Novus Professional Services Pvt. Ltd. Built by Clique Studios.